Food preservation is something we could all benefit from. We've all found ourselves in a familiar scenario, where leftovers go straight into the bin, bags of spinach wilt and turn soggy, and that delicious block of cheese you were saving has gone rock hard. Wasting food happens more often than it really should, especially when there are ways to prevent it. 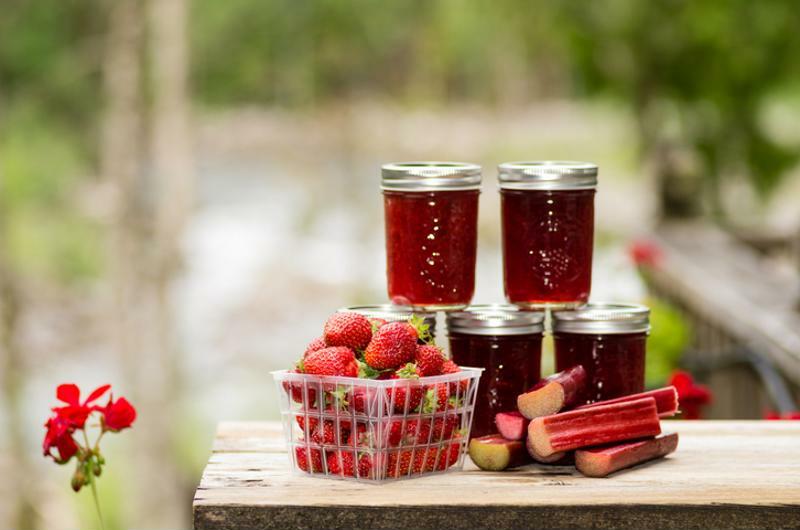 Canning is a process in which the chemical make-up of the food is altered by changing its pH, salinity and moisture levels in order to protect against microbes such as bacteria, mould and yeast. These chemical alterations combine with the tangible barriers of the cans, seals and lids to effectively protect against decay. Canning could be the right defense against food decay. What are the advantages of canning? The advantages of canning are many. As mentioned above, the protection it affords means canned goods have a long shelf life as long as the container remains intact. As a result, it's easy to see if they've been tampered with, and be mindful of any rust, dents, bulges or leaks. Canning is economical because the materials used to store food can easily be re-used, don't take up any space in your fridge and freezer, and are easy to store away in cupboards. Certain canned goods, along with dishes made using canned ingredients, are as nutritious as fresh ingredients, with canned tomatoes being even better than their fresh counterparts due to their lycopene, a carotenoid that protects against prostate cancer. What are the disadvantages of canning? Since canned food has to be cooked in order to be stored, certain nutrients contained within such fruit and veg are lost when boiled. Likewise, the heating step of the canning further reduces loss of nutrients including fat-soluble vitamins. All told, canned fruits and veg that are susceptible to losing their nutrients contain about 35% of the vitamins and minerals when compared to fresh products. Since there's a lot of equipment involved, canning is pretty costly to start up. Though most equipment can be re-used, the initial price might make some reconsider since pressure canners can cost up to a few hundred pounds. Likewise, it's a time-consuming process. Expect to clear your schedule for the day ahead because canning involves a lot of prep, processing and waiting. From cleaning, peeling, coring and blanching your fruit and veg to boiling, pickling and packing them into cans, it can be a huge drain on your time. Although vacuum sealing doesn't sterilise food in the same way as canning does, which is why it requires refrigeration, it's a quick, easy way to ensure your food stays fresher for longer. 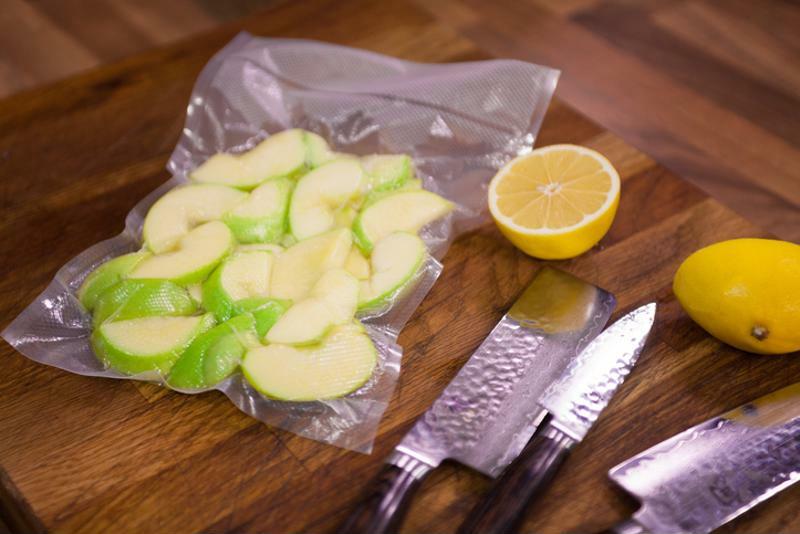 Vacuum sealing food is a quick and easy process. What are the advantages of vacuum sealing? 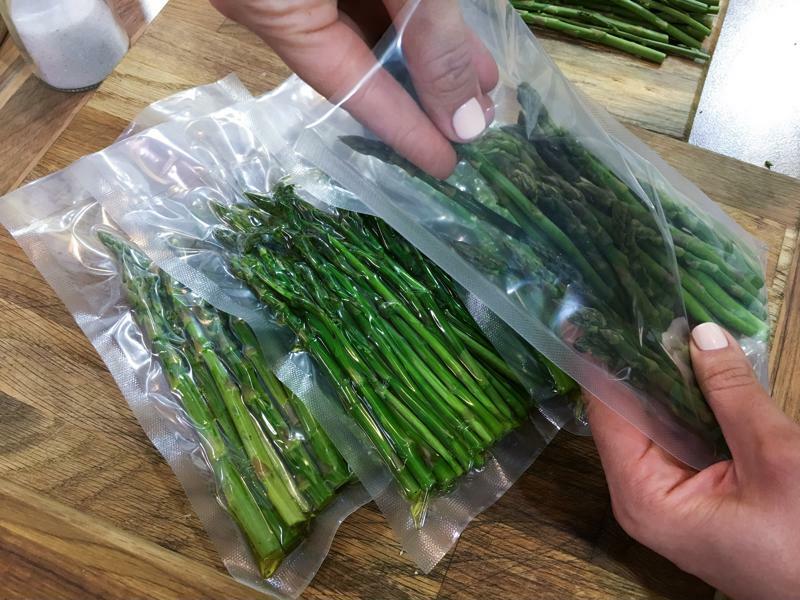 Compared to canning, vacuum sealing is a real time saver and especially beneficial for small batches like leftovers or individual portions of snacks or vegetables. Canning tends to only be beneficial when packing large portions and batches, which is time-consuming, and only restricted to fruit and veg, whereas meat can be easily vacuum sealed. However, buying and sealing in bulk allows you to have things like fresh meat in your freezer for up to six months, which means superb savings compared to buying your meat as and when you're making a meal. Once your food has been sealed and placed in the freezer, the vacuum packing keeps your food protected from dehydration and free from freezer burn, which is a common occurrence without the appropriate preservation. Similarly, your food lasts up to five times longer when compared to sealing in plastic containers or bags, while the typical one to three days' shelf life of fridge food is easily extended by up to two weeks. And because vacuum sealing holds in the moisture, juices and flavour of your food, there's a noticeable difference in its taste, keeping your food as fresh and delicious as when you first sealed it. Vacuum sealing preserves food flavour. What are the disadvantages of vacuum sealing? Although the start-up costs are a lot less than buying canning equipment, you'll obviously need to purchase and maintain a vacuum sealer, as well as keep a ready supply of storage bags too. When buying bags, it's important that you don't compromise on quality for the sake of value. If there's a tear in the bag, no matter how small, it can affect the way your food is sealed. Even a minute tear means oxygen can get in and cause food to spoil. However, we feel that the advantages far outweigh this minor downside. A well-maintained sealing machine, with the proper storage, can significantly extend the life and freshness of your food, prevent spoiling and minimise waste too, saving you plenty of money in the process. We hope this post has inspired you to think about how you seal and store your food. Our vacuum sealers help to keep food fresh, save money and reduce food waste. Interested? Find out more about our innovative range of vacuum sealers here.